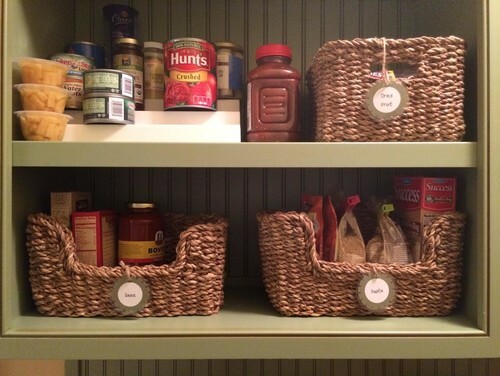 If you are in need of some pantry organization, then this is the article for you! When you have a pantry the size of a bedroom, I guess it is easy to keep things neat and organized. After all, with so much room nothing should get cluttered. Unfortunately, most of us only dream of having such a spacious pantry. In reality, we have to deal with smaller pantries, generally ones that end with shuffling cans and bags around in an attempt to locate that elusive product. 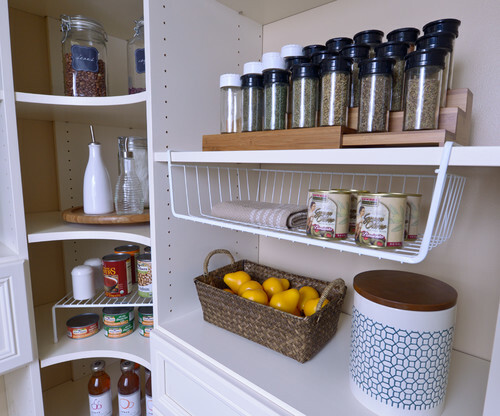 Well, with a few easy to use, pantry organization tools, we can create additional space and make our pantries more efficient. 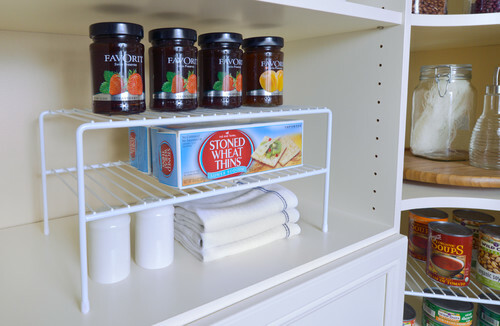 These great, double rack, shelf inserts provide a way to utilize dead vertical space. With these, you can stack products that have a low height and still be able to see what’s what. They are especially nice for those who have dish ware stored in their pantry. Place plates on the lower level, followed by cups in the center, and then bowls on the top. 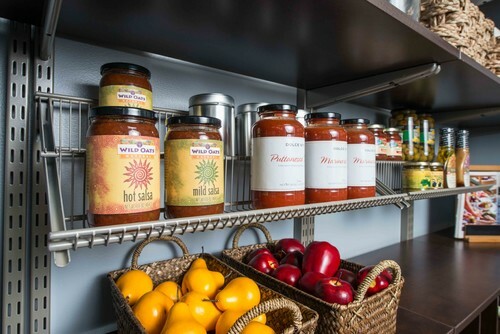 These tiered, full length, horizontal shelves work great if you have a metal shelf system. These also provide a nice way to store items so that they can be easily viewed. 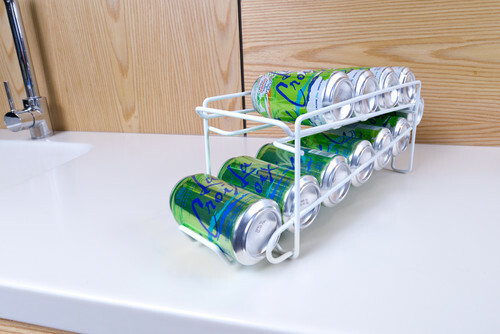 Generally, these would be used for cans and jars. Another option is a hanging, or suspended, basket. Again, these are a great way to take up unused space. Hang them over areas where dead space occurs. One area that many people forget about is the doors. All that empty vertical space can be put to good use. Add a few, or many, door shelves. 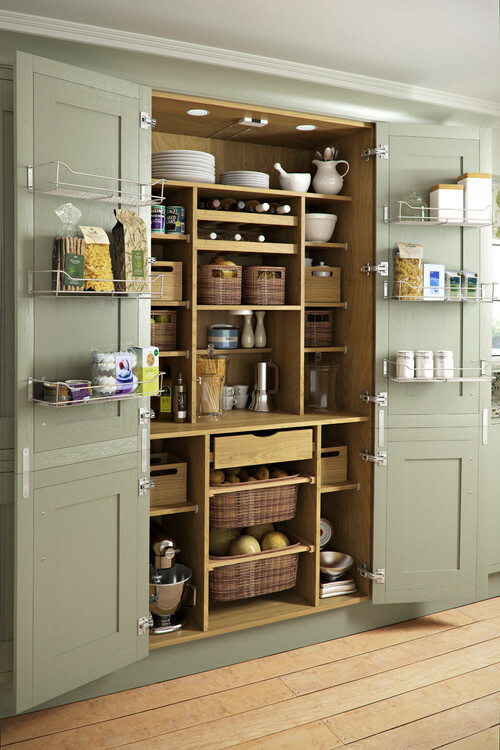 These can be great for storing the lighter weight items, such as breads and pastas, or spices. Sometimes just making things easier to access is the best method. To do that you could change out a few shelves for some drawers, or just add on to the existing system. Drawers make lower level storage easier to deal with. 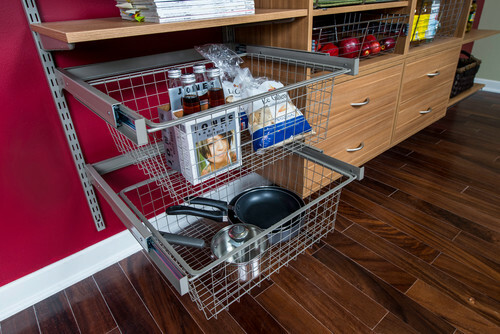 Another option for creating easy to access storage is to use baskets. With baskets, the items can be completely taken from the shelves and moved to a different location. 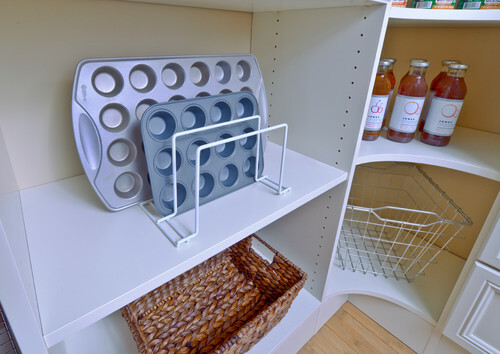 This is good for storing baking items that need to be moved to a prep area. I like to combine items together based on how I use them. For instance, I have my flour, baking soda, and baking powder all in one basket. That way, I can just transfer the basket to my mixing zone when I get ready to make biscuits, cakes, or pancakes, and most of everything that I need is there. 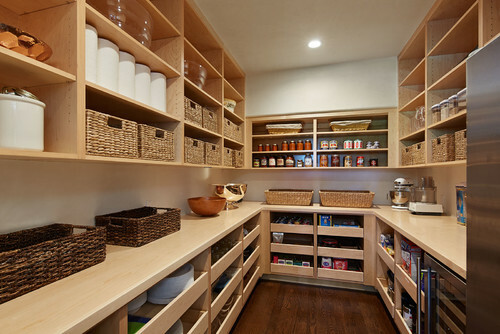 In addition to creating storage space, there are several things that can be done to just better organize a pantry. 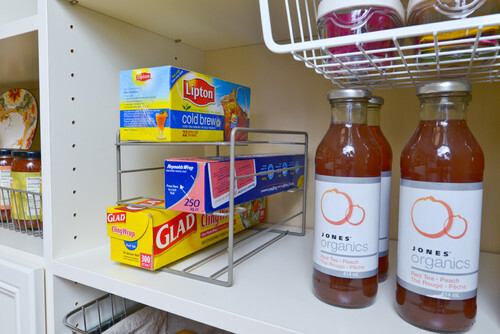 If you store baking sheets in your pantry, consider adding a baking sheet divider. Turn one of those double racks side ways and it makes the perfect place to store bags, foils and papers. One of my favorite thing to do to get things organized is to label it. (Of course, I may be a bit more fanatic than most). 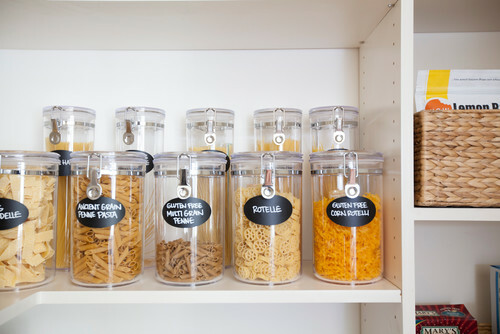 But if you ever get the time, and you can budget for all the containers, jarring everything up and labeling it will really make your pantry look neat. Also, the jars will help keep thing air tight and fresh. All of these and/or similar items can usually be found at your big box hardware stores, or you can find them on Amazon. (That, by the way, is an affiliate link).